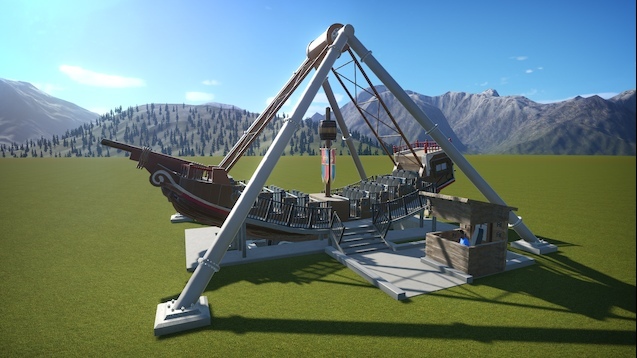 Description: Because I didn't like the enormous footprint the original Swinging Ship had I decided to create my own. It's around 50% smaller! I also made a little cubby for the operator to sit in. The only thing left to do is to create a small trench where the wheels are.